Are you trying to figure out the ideal length of query letter to literary agent? The answer is not always one specific word count. It depends upon the project and the agent. The role of a query letter is to explain your writing project in an exciting and concise manner as well as convince the agent of why you are qualified to write the book. Most writing advice books always say that query letters should only be one single-sided page long. According to the Writer's Digest, query letters should be only one single-spaced page in length. This is the industry standard. The reason for the length is that agents are extremely busy, flooded with query letters, and they only have time to read short letters. The only time is okay to have a longer query letter is if you have important details about your work experience that relate to the project, or important descriptions of the book idea. Longer query letters should not go beyond a page and a half to two pages. Remember that you want to describe the magic of your book proposal in a short description that grabs the agent's attention. This description may have to be longer for a complicated saga than a straightforward short story. However, there is generally no reason to write a long query letter if you are writing a tight and concise letter with all the important elements. 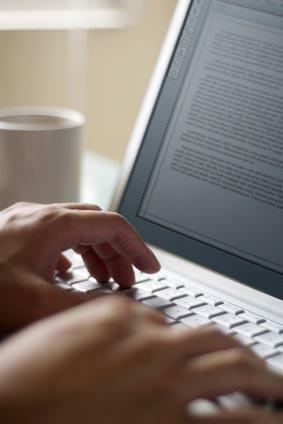 The Agent Query site provides a detailed discussion on effective query letters. The article points out that query letters are a single page because they should only contain three important paragraphs for effectiveness - the hook, mini-synopsis and the writer's credentials. This is because the query letter serves to catch an agent's interest so that he will either request sample chapters or the whole book for review. Author Tara K. Harper points out the an unusually long query letter could appear unprofessional or risk sounding like rambling. Literary agent Ann Rittenberg wrote in a Writer's Digest article that if query letters were longer than a page, an agent might think that your manuscript was not tightly written. It would seem that most experts agree that a one-page query letter is not only the industry standard, but an ideal length. Tailor the letter to the literary agent. Get his or her name and appropriate title. If possible, ask other writers who have worked with the agent about the agent's personality to help you customize the letter. Create a hook that makes the agent want to read more. The first paragraph draws her in. If the hook isn't compelling, she won't read any further. Write one or two paragraphs that provide an exciting or compelling mini-synopsis of the manuscript. The last paragraph should provide a short writer biography with a mention of your credentials and why you are motivated to write the story. This is often where writers with a lot of experience tend to overwrite because they want to demonstrate their qualifications. However, this is just a short introduction into your credentials and writing motivation. Don't make it into a full-blown resume. Follow the rules for professional business letters. Use standard 8 ½ by 11 paper and an easy to read font in black ink. Do not try to stand out by using decorative stationary or fonts because it will look unprofessional. Type in standard single-space. Be sure to include the date on the letter. Let your writing, not the letter format, single you out. Always thank the agent for their time and consideration. Remember to include a self-addressed stamp envelope (SASE) for the agent's reply. Following the ideal length of query letter to literary agent can help put you get one step closer to publication.